Fossil records of Micropterigidae and the extinct Archaeolepidae and Eolepidopterigidae are discussed in the geological timescale. 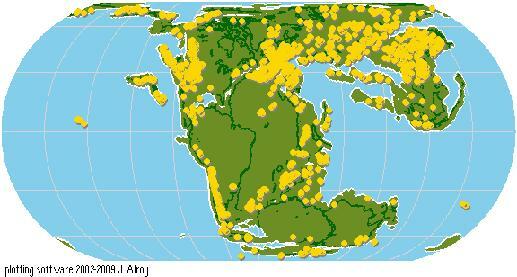 Ancient and recent distribution areas are compared from the angle of the continental drift. 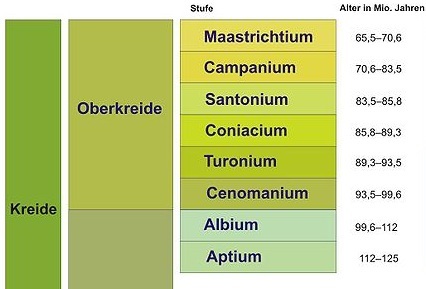 Fossile Funde von Micropterigiden und den ausgestorbenen Archaeolepidae und Eolepidopterigidae, werden im geologischen Zeitablauf vergleichend dargestellt. Frühere und rezente Verbreitungsmuster werden im Licht der Kontinentaldrift diskutiert. Due to their fragility, only few fossil records of primitive Lepidoptera are known up to date. 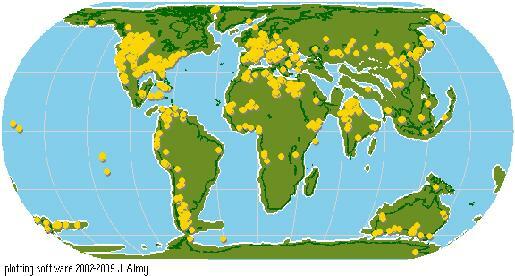 Their preservation status is poor in most cases, except for some fossils in amber. Therefore, in most cases it has been very difficult to at least assign the findings to higher taxa. The situation becomes even further complicated by the fact that many apomorphies of different lepidopterous lines are linked to minor anatomical characters or even to musculature (Kristensen 1984, Kristensen 1998). In many cases, only wing venation details and external structures of the body are available in order to classify fossils. Therefore, most fossils can only tentatively be placed in the mentioned families. 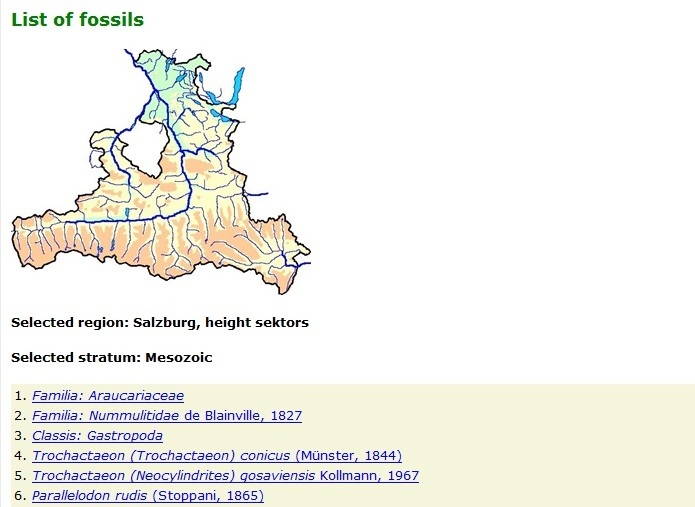 Based on the present classification, the most important fossil taxa of primitive Lepidoptera are discussed with respect to the geological period in which they occured, as well as the distribution of land masses in that period. 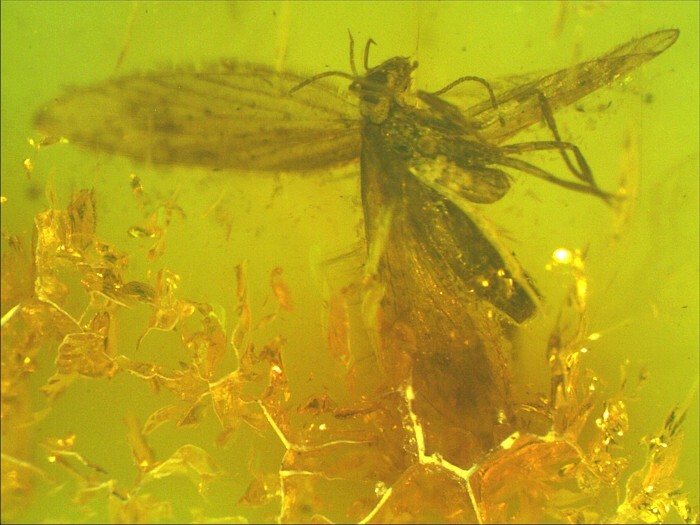 No own investigations have been made in order to classify fossil findings nor has any attempt been made to determine the age of these fossils with the exception of Micropterix sp.n . (Baltic amber). 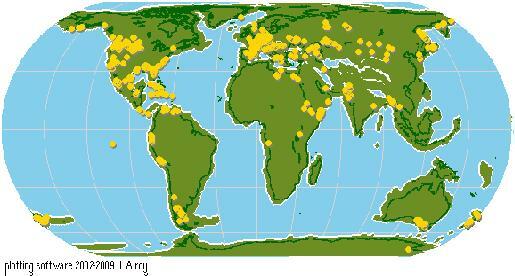 Basic data, including time scales or, distribution of landmasses, have been retrieved from recently published articles or webpages (Kozlov 1989, LepTree Team 2010, anonymous 2010). Recent Micropterigids, on the other hand, especially species of Micropterix Hübner, 1825, have been studied intensively (Zeller et al. 2007, Kurz et al. 2010). Abbreviations: 1 Ma = 1 million years. The earliest fossil record, that most probably belongs to Lepidoptera is that of Archaeolepis mane Whalley, 1985 (see Kristensen 1998). Remnants (scales) of this insect have been found in sediments near Dorset, UK, that are estimated to be about 190 Ma old. At that time, all major landmasses still formed the supercontinent Pangaea, thus principally enabling the earliest Lepidoptera to spread all over the world. From the middle Jurassic period, no fossil records of Lepidoptera are known. About 30 million years after Archaeolepis mane , 3 major lines (suborders following Kozlov 1989) of Lepidoptera have already been identified. These are Eolepidopterigina (family Eolepidopterigidae with Eolepidopterix (1 species) and Palaeolepidopterix (1 species)), Micropterigina (now Zeugloptera with family Micropterigidae: Auliepterix (2 species) and Palaeosabatinca (1 species)) and Papilionina (now Ditrysia ?, uncertain family: Protolepis (1 species) and Karataunia (1 species)), the latter already being the first Lepidoptera with a distinct proboscis (Kozlov 1989). Several genera and species are known from that period, most of them impressions from fossil beds in central Asia (Kazakhstan, Mongolia). Still, all continents were in contact at that time, at least by means of land bridges. In the Cretaceous period, the Atlantic Ocean continuously spreaded, thus breaking Laurasia (North America and Eurasia), as well as northern Gondwana (South America and Africa), into pieces. Furthermore, southern Gondwana (Antarctica and Australia) became isolated from the rest of the world for a long period of time (a small land bridge persisting only to South America), the same being true for India and Madagascar. Both primitive lines of Lepidoptera from the Jurassic period still persisted and are well represented in fossil beds and amber inclusions, mainly from Brazil, the Lebanon, Burma and Siberia. Eolepidopterigidae are represented by Undopterix (2 species), Gracilepterix (1 species), Xena (1 species) and Daiopterix (2 species). Psamateia (1 species) is of unknown family assignment. The fossils of these species have been found in Siberia and mainly in Brazil (Martins-Neto 2005), the two Undopterix-species being described from both locations. 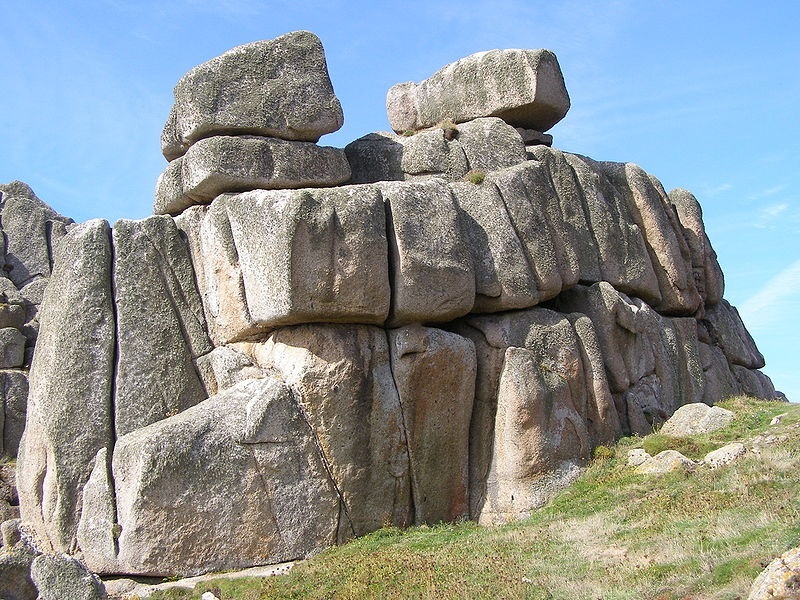 This is unsurprising, since in the lower Cretaceous period, South America had still been in contact with Siberia via Africa by means of land bridges. From the family Micropterigidae, we only know two genera, the first being Parasabatinca, which is represented with two species from Lebanese amber and from Brazil. (LepTree Team 2010, Martins-Neto 2005). 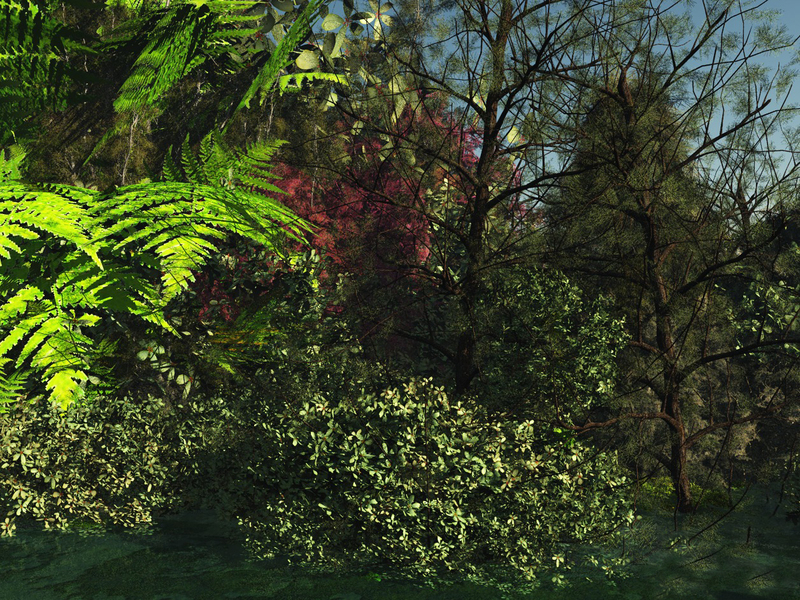 This genus is maybe the ancestor of the presently so-called Sabatinca-group of Micropterigids. 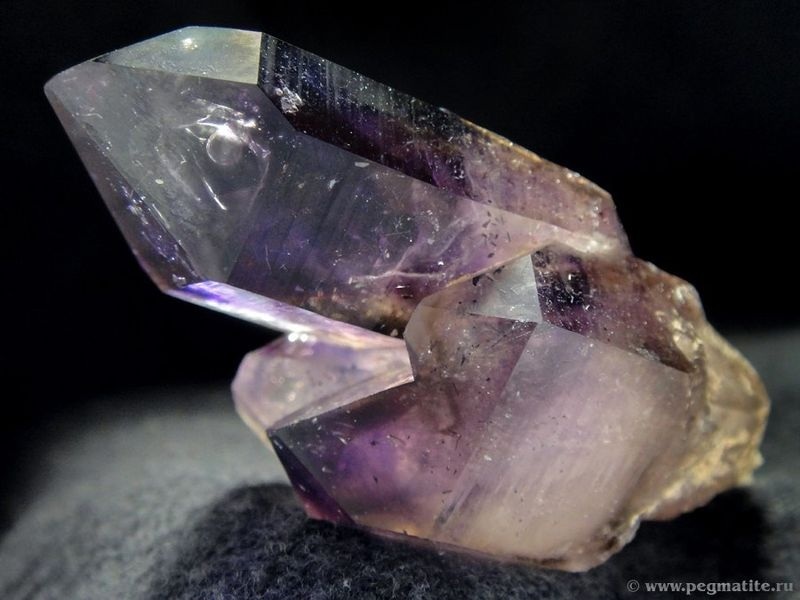 From the end of this period, "Sabatinca" perveta is known from Burmese amber. Although Burmese amber is embedded in Miocene clay, Cockerell (1922) already assumed, that it is in fact from the lower Cretaceous period. Since Sabatinca in the present sense is probably a paraphyletic entity, as can be concluded from the structures of the male genitalia (Philpott 1923), the assignment of "Sabatinca" perveta to that genus is highly problematic. No fossil remnants of primitive Lepidoptera are presently known from that period. In terms of continental drift, India started to cross the Indian Ocean, becoming isolated for several decades of million years. The same is true for Madagascar and New Zealand, Madagascar being isolated from the rest of the world since then. Also from the Palaeocene period, no fossil remnants of primitive Lepidoptera are known. South America was isolated then, except for a small land bridge to Antarctica. Australia, also was connected only to Antarctica by means of a small land bridge. Of the two basic lines of primitive Lepidoptera in the late Mesozoic period, only Zeugloptera with family Micropterigidae are traceable in the Eocene period. Eolepidopterigidae seemed to be extinct already. With only one exception, Micropterix anglica Jarzembowski, 1980 from the Bembridge Marls, Isle of Wight, England (about -35 Ma), all other known remnants of that period have been conserved in Baltic amber (-40.4 to -48.6 Ma, -44.1 Ma following Ritzowski 1997). Mainly due to details of the wing venation, all described and two undescribed species have been attributed to the genera Micropterix (4 species) and Sabatinca (1 species), although the attribution even to the family is more or less questionable with the exception of one undescribed species of Micropterix, and, "Sabatinca" proavitella (Rebel, 1935). With "Sabatinca" proavitella from Baltic amber, there is again the problem that Sabatinca is probably paraphyletic. Furthermore, this would be the last fossil record of that genus outside of New Zealand or Australia. Australia was isolated from New Zealand too, but came into contact with south-east Asia from the Miocene to the Pleistocene period (see below). At the same time, some migration is assumed between Australia and New Zealand via New Caledonia. From those latter islands, also some "Sabatinca"-like Micropterigids are known (Kristensen 1984), and some of the New Zealand "Sabatinca" seem to resemble the Australian species. The only other fossil species besides "Sabatinca" proavitella, that can certainly be assigned to the family Micropterigidae on the basis of several autapomorphies, is a female from Baltic amber, that is tentatively placed in the genus Micropterix (Kurz & Kurz, in preparation). "Micropterix" immensipalpa (Kuznezov, 1941), on the other hand, could truly belong to that genus, provided that its family assignment is correct. The specimen shows a preapical vein R5 in the forewing, which is probably an apomorpy of Micropterix but, on the other hand, may have a mesotibial spur, which contradicts its assignment to Micropterigidae (Kristensen in litt.). Most interestingly too, in the Eocene and the following Oligocene period, India was connected to East Africa by a land bridge. Since Micropterix possibly has developed out of the Thethys region at least since the Eocene (most extant species are found in the Mediterranean region, see Zeller et al. 2007), this can easily explain, why nowadays Micropterix-like species, which are very remarkable in some respects, can also be found on the southern slopes of the Himalayan Mountains. The two known and until recently undescribed species from that region differ from true Micropterix by the presence of cerci-like appendages at the end of the female abdomen, but are undoubtedly related to that genus in most other respects, although the south Himalayan region has probably been isolated from the main distribution area of Micropterix since the Miocene period (about -20 Ma). Due to the fact that India has been isolated also since the upper Cretaceous period to the Eocene period, these Micropterigids cannot have developed autochthonously. Moreover, the cerci-like appendages have not been found in any fossil species, and therefore are most probably not a plesiomorphic, but a derived feature. To present , neither younger fossils of Micropterigidae than "Micropterix" anglica Jarzembowski, 1980 from the late Eocene, nor fossil remnants of ancestors of the other Palaearctic and Nearctic genera of that family are known. In the Oligocene period, Australia separated from Antarctica and became isolated. South America came into contact with North America and lost its land bridge to Antarctica. At least since then, the South American members of the Sabatinca-group have been isolated from the others, whereas the North American Epimartyria-species are probably an "import" from eastern Asia. Australia came into contact to south-east Asia by means of a land bridge, which persisted, probably with interruptions, for a long period of time (until the Pleistocene). Australian "Sabatinca" may have originated from New Zealand in the Miocene period via New Caledonia (see also Eocene period). Indian "Micropterix", on the other hand, became isolated due to the formation of the Himalayan Mountains (see above). The great diversity of Micropterix , but also of the japanese Micropterigidae has probably evolved quite recently by isolation under the influence of the ice ages, thus leading to the many known endemites, especially in mountain areas. anonymous 2010. 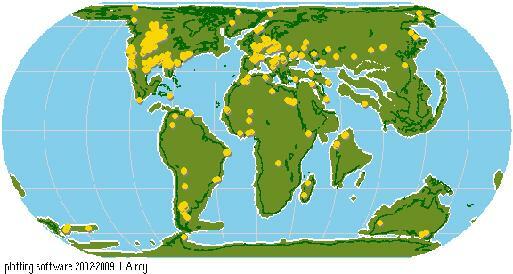 The Palaeobiology Database. 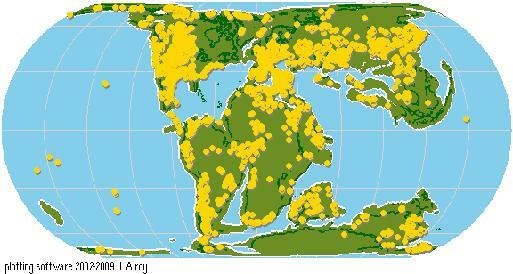 URL: http://paleodb.org/cgi-bin/bridge.pl?user=Guest&action=displayHomePage [visited 03 February 2010]. Cockerell, T.D.A. 1922. Fossils in Burmese Amber. nature 109: 713-714. Kozlov, M. V. 1989. New upper Jurassic and lower Cretaceous Lepidoptera (Papilionida). Palaeontological journal 4: 34-39. Kristensen, N. P. 1984. Studies on the morphology and systematics of primitive Lepidoptera (Insecta). – Steenstrupia 10: 141–191. Kristensen, N. P. 1998. The non-glossatan moths: 41–49. – In: N. P. Kristensen (ed. 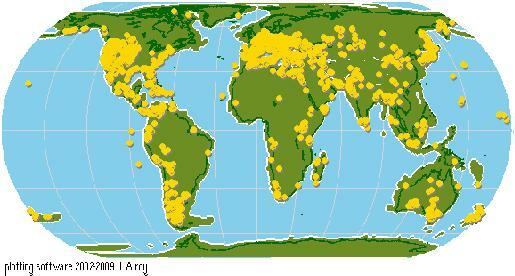 ), Lepidoptera, Moths and Butterflies. Vol. 1: Evolution, systematics, and biogeography. – In: M. Fischer (ed. ), Handbook of Zoology. Vol. 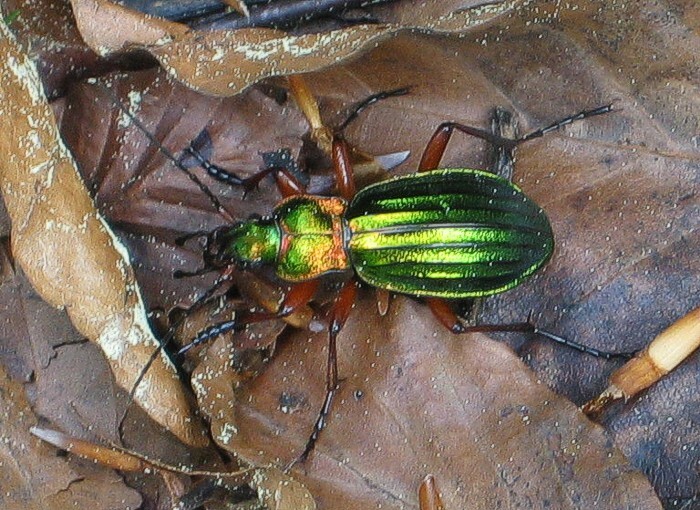 IV Arthropoda: Insecta, Part 35. – Walter De Gruyter, Berlin and New York. Kurz, M. A., M. E. Kurz & H. C. Zeller-Lukashort 2000–2010. 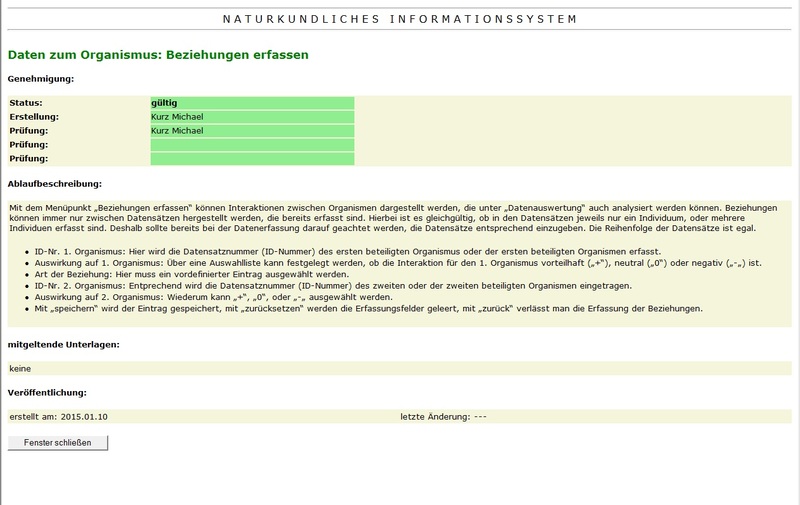 Naturkundliches Informationssystem. – URL: http://www.nkis.info [online 03 February 2010]. Kurz, M. A. & M. E. Kurz 2010. Micropterix gertraudae [sp.n.]. Taxonomy Online. in preparation. LepTree Team 2010. Accessed Jan 27, 2010 at http://www.leptree.net/. Martins-Neto, R. G. 2005. Estágio atual da paleoartropodologia Brasileira: Hexápodes, Miriápodes, Crustáceos (Isopoda, Decapoda, Eucrustacea e Copepoda) e Quelicerados. Arquivos do Museu Nacional, Rio de Janeiro. 63 (3): 471-494. Philpott, A. 1923. The Genitalia in Sabatinca and Allied Genera (Lepidoptera, Homoneura) with some Observations on the same Structures in the Mecoptera. Transactions of the Entomological Society of London. 347-399. Ritzkowski, S. 1997. Geschichte der Bernsteinsammlung der Albertus-Universität zu Königsberg i. Pr., Verlag Glückauf GmbH, Essen. Zeller-Lukashort, H. C., M. E. Kurz, D. C. Lees & M. A. Kurz 2007: A review of Micropterix Hübner, 1825 from northern and central Europe (Micropterigidae); Nota lepidopterologica 30 (2): 235 – 298.